1. Biological nitrogen fixation in response to nitrogen deposition and phosphorus addition in tropical forest ecosystems. 2. Community structure and function of nitrogen-fixing microbial in response to elevated nitrogen deposition in tropical forest ecosystems. M.H. Zheng, T. Zhang, L. Liu, W. Zhang, X.K. Lu, and J.M. Mo. Effects of nitrogen and phosphorus additions on soil methane uptake in disturbed forests, Journal of Geophysical Research: Biogeosciences, 2016, accepted. M.H. 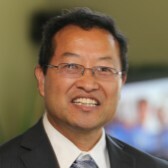 Zheng, D.J. Li, X. Lu, X.M. Zhu, W. Zhang, J. Huang, S.L. Fu, X.K. Lu, and J.M. Mo. Effects of phosphorus addition with and without nitrogen addition on biological nitrogen fixation in tropical legume and non-legume tree plantations. Biogeochemistry, 2016, DOI: 10.1007/s10533-016-0265-x. M.H. Zheng, T. Zhang, L. Liu, W.X. Zhu, W. Zhang and J.M. Mo. Effects of nitrogen and phosphorus additions on nitrous oxide emission in a nitrogen-rich and two nitrogen-limited tropical forests, Biogeosciences, 2016, 13:3503-3517. M.H. Zheng, H. Chen, D.J. Li, X.M. Zhu, W. Zhang, S.L. Fu, and J.M. Mo. Biological nitrogen fixation and its response to nitrogen input in two mature tropical plantations with and without legume trees. Biology and Fertility of Soils, 2016, 52:655-674. M.H. Zheng, J. Huang, H. Chen, H. Wang, and J.M. Mo. Responses of soil acid phosphatase and beta-glucosidase to nitrogen and phosphorus addition in two subtropical forests in southern China. European Journal of Soil Biology, 2015, 68:77-84. J. Huang, J.M. Mo, X.K. Lu, M.H. Zheng, G.Y. Zhou, and H.P. Xia. The	effect of simulated nitrogen deposition on the emission of carbonyl compounds from Ormosia pinnata and Cinnamomum burmannii. Expert Opinion on Environmental Biology, 2016, S1-004. H. Chen, G. A. Gurmesa, W. Zhang, X.M. Zhu, M.H. Zheng, Q.G. Mao, T. Zhang, and J.M. Mo. Nitrogen saturation in humid tropical forests after 6 years of nitrogen and phosphorus addition: Hypothesis testing. Functional Ecology, 2015, 30:305-313.